Early in the afternoon, the skies opened up and the rains fell. We ducked under an awning to stay dry. It was a treat to hear a loud crash of thunder, as we usually don't have lightning in Seattle. we took her back to the pension so she could rest her feet. Ferit and I set off by foot to continue exploring the city. We stopped for a most delicious coconut pastry. It was the perfect pastry -- tasty, but not too sweet. In the 1980s, graffiti began appearing on this wall as a protest to the Communist regime. messages of love and peace kept appearing overnight. 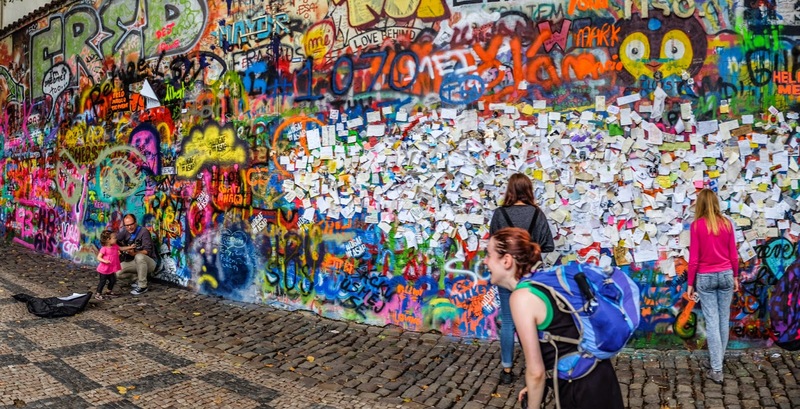 The wall is now known as the "John Lennon wall," in honor of the famous Beatles's singer. 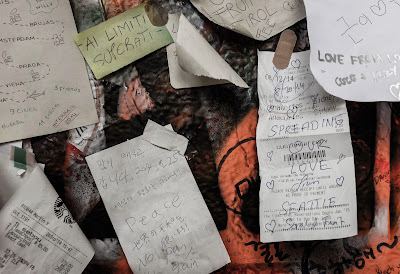 It was nice to peruse the messages of peace and love from all over the world. We added our own message, from Seattle. 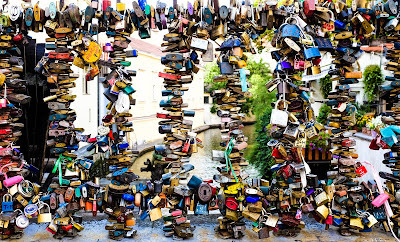 we came across a colorful collection of locks on an iron gate. 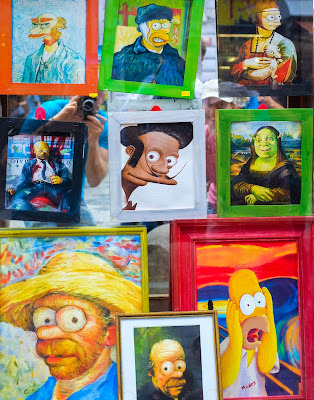 And while walking the streets, we saw these fun paintings. Can you spot all 11 faces? 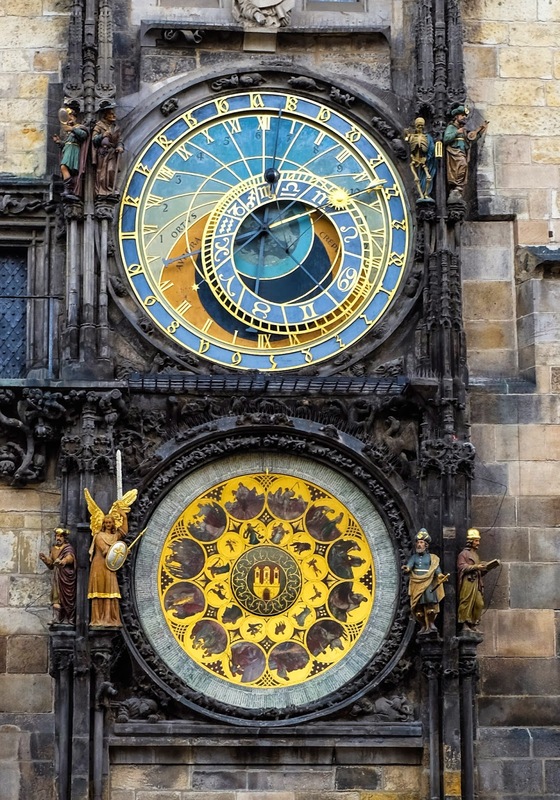 In the Old Town Square, we saw the world's oldest functioning astronomical clock. gorgeously illuminated by the dark, stormy sky in the distance. 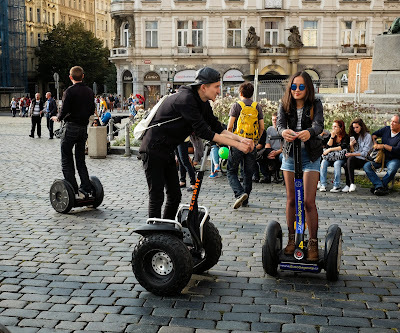 Segways are a popular way to explore the city. We had never seen so many Segways in any one city. 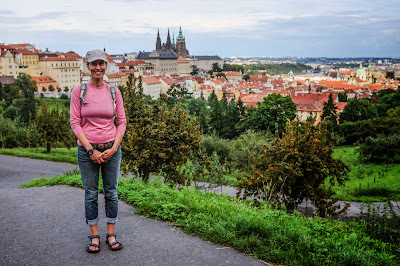 We stopped along the Legions bridge to take photos of the Charles Bridge in the distance. 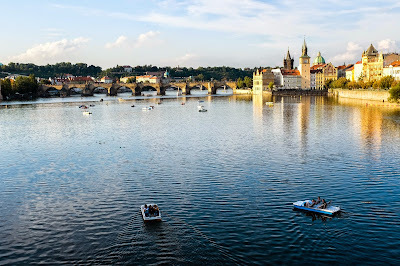 The Charles Bridge crosses the Vltava River, which runs through Prague. is a popular place for musicians and street artists to gather. 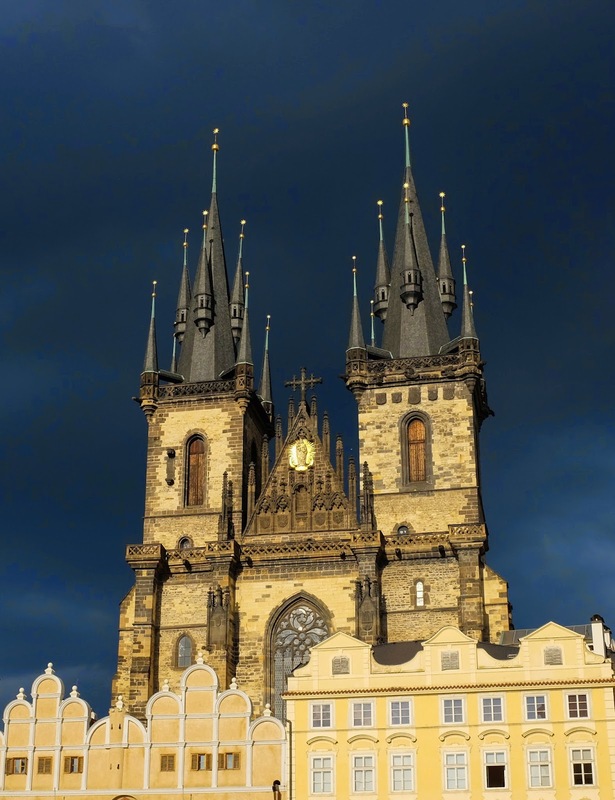 Prague, you are a gorgeous city! Very cool! 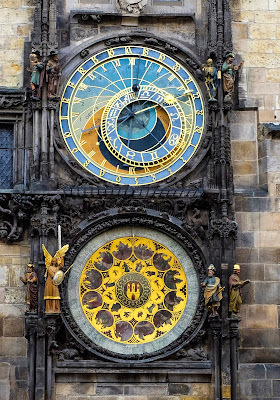 Michelle was in Prague a couple years ago and saw the clock and the locks but missed the wall! I can see you are having a blast, and I look forward to tagging a long! Sarah, somehow my comment ended up in the wrong post! I meant to put it here, but you'll get it anyway! Love ya! 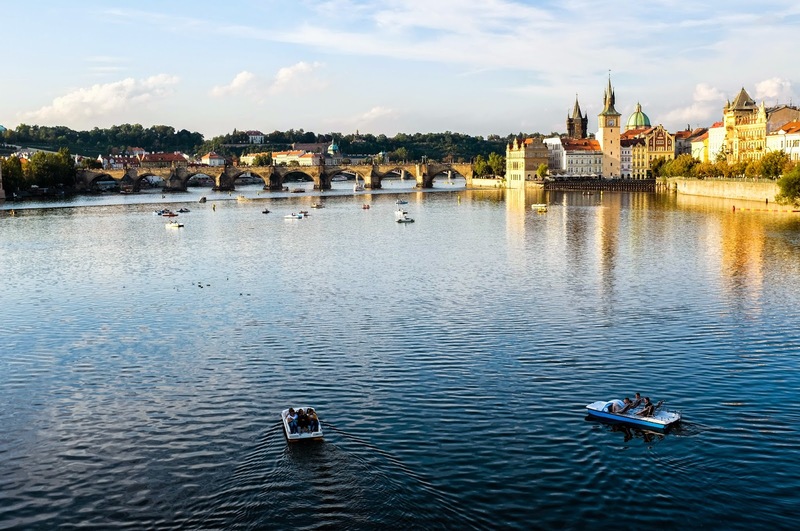 Excellent picture of Prague! 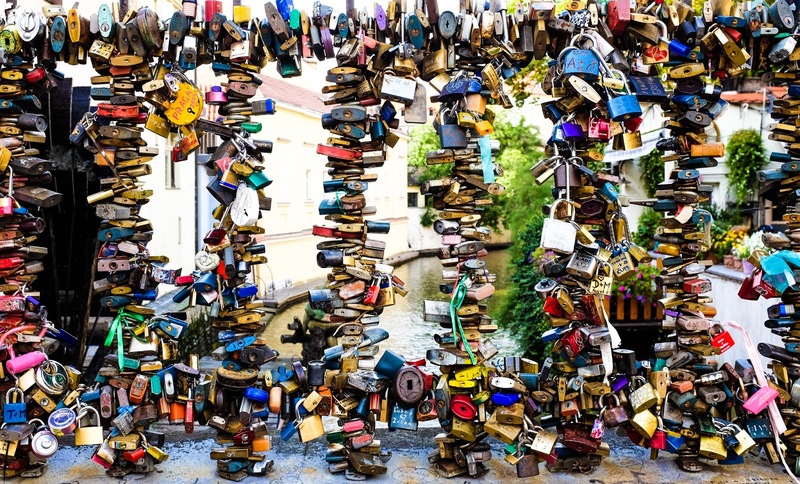 The picture of the lock is impressive and symbolic! Keep posting this beautiful pics please! I liked seeing your post on Prague, especially since we were just there, too! 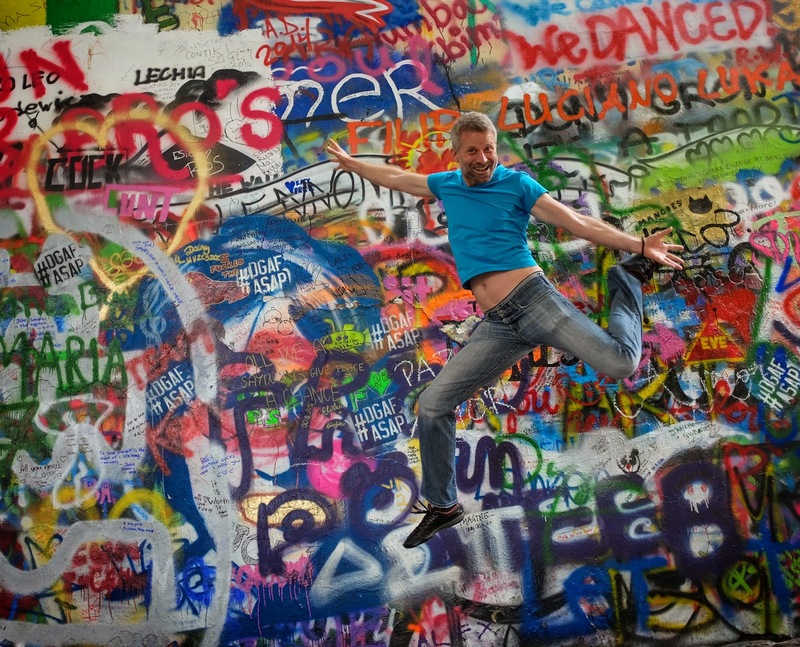 We didn't see the John Lennon wall--next time! I liked the view you saw from the Petrin Garden too.